I thought I'd start a little feature called 'Obsession' on the site. It's going to be a set of features where I look at what anime series' I've come to truly love, and see as the top-shelf content out there. These are the anime features that have changed my life, will never leave my mind, and continue to inspire me. 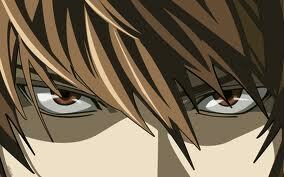 I can honestly say that my life is better having seen Death Note. It is a series that has truly opened up the world of not just anime, but the entire visual entertainment industry. No matter if you're talking movies, anime, TV shows, video games or any other visual entertainment, Death Note stands out as one of the most amazing experiences I've ever witnessed. It makes me both happy and sad to say that. Sad because I doubt I'll ever see anything as amazing as Death Note again. On the surface, Death Note seems like your standard anime plot. Some guy gets the power to kill people without physically being around that person, and starts to use that power to clear the world of its 'scum'. The power quickly goes to his head, and a hunt begins through the police to find out who this killer is. Indeed, simple enough to seem like a ho-hum series, but that couldn't be further from the truth. I actually owe my Death Note introduction to my girlfriend, Danielle. I had seen one small part of an episode on Adult Swim, but I quickly changed the channel. I saw a strange demon and learned that the episode airing was already 10 deep, and that right there was enough for me to move on. I was already out of the loop on the series. Thankfully my girlfriend saw the little bit of an episode as well, and she liked what she saw. A few months later she purchased the first DVD volume for me, and the rest is history! Death Note has absolutely anything I could ask for in an anime series. The characters are ridiculously well developed. You deeply care about a great number of them, making for a very intense viewing experience. The music is top-notch, so much so that I hear a few tracks every single day while at my computer. The English dub is very high quality, and the two main characters provide outstanding performances. Most of all, the series is extremely smart. You're going to be thinking a lot along the way, working things out as the series continue on, and still scratching your head when plausible but unseen plot twists head your way. Death Note brings up some very philosophical questions along the way. I know that personally, these are questions that I've been applying to my life ever since. It truly is a series that will make you think while you're watching, and continue to drive you long after it's over. 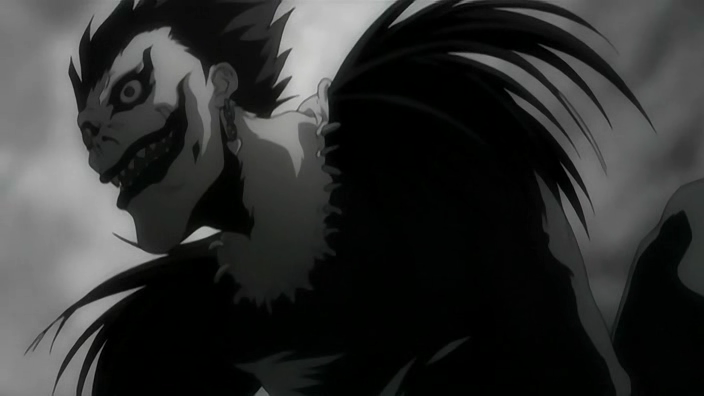 I cannot tell you how much I respect a series that respects you, and that's exactly what Death Note does. You are not spoon-fed details, and you are asked questions through the story that will have you reflecting upon yourself and your beliefs. It's an amazing, amazing experience. 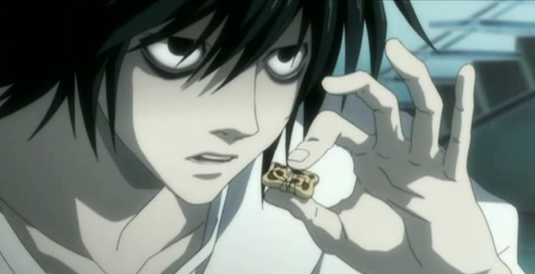 You absolutely, positively have to watch Death Note. If you hate anime, if you love anime, this is a series that you need to see. It shows you just how effective an anime can be as a story telling method. Death Note will forever be a high watermark for all other anime series, as well as visual entertainment in general. Good luck topping this one writers/creators! But really if you enjoyed Death Note that much, then you really will enjoy Code Geass. Then again it's a mech series so you may not. It was on your own recommendation (insistence is probably a better word) that I start this series. I'm definitely enthralled... wondering how the moves between Light and L are going to play out is intense and keeps me wanting to see more. The Anime Staple: Your Turn! The Anime Staple: Is that a guy or a girl? The Anime Staple: Time for School! Come for the anime, stay for the tchotchkes! Too much old, not enough new? Are you an anime snob? Why don't I like mecha anime?! How many anime are you watching now? What makes enjoying anime nerdy? Anime on TV just doesn't meet my schedule! Will we never escape our poor localization past? Watch the anime, play the game! Time to give Gundam a chance? How much do you spend on anime? Now anime fans can't get girlfriends/boyfriends? Enough with the filler already! What do you want from Anime Your Way? Well, wasn't that a pleasant surprise? Read the manga, then watch the anime? Feel free to send emails to animermc@gmail.com for any tips/ideas!